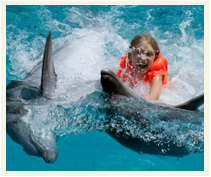 A short ferry boat ride along the south shore of Grand Bahama Island will take you to Sanctuary Bay, home of The Dolphin Experience, operated by UNEXSO (the Underwater Explorer's Society), and a pod of atlantic bottlenose dolphins. children four and under are admitted free of charge. 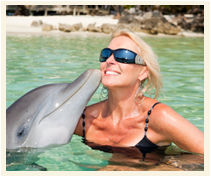 Enjoy an intimate encounter with dolphins! The minimum height requirement for this adventure is 55 inches (4 ft. 7 in.). 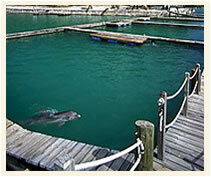 We regret that, for safety reasons, pregnant women cannot participate in this experience. 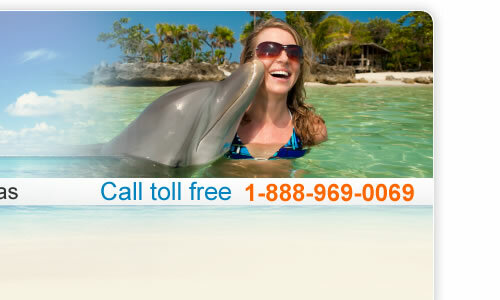 Dive in the open ocean with the dolphins! 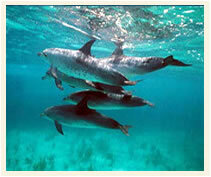 An exclusive opportunity for skilled snorkelers to freedive in the open ocean with the dolphins. 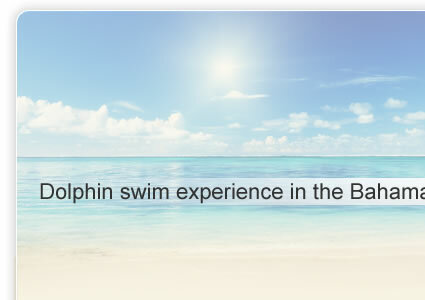 Our ferry will take you to the crystal clear waters of the shallow reefs where a pair or more of dolphins will greet you.Immerse yourself in the mesmerizing world of these magnificent marine mammals, with a dolphin behaviorist as your guide. The cost is $219.00 per person. This program allows you to experience scuba-diving under the guidance of UNEXSO's professional staff. 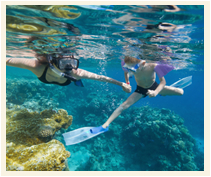 Includes all equipment, instruction and a reef dive. Rates vary depending on thr type, location, duration, etc. of the dive. Email for specifics. Dives are not transferable and expire exactly one year from the date of the day of the first dive that was for.Departure times for dives may vary due to changes in the weather or other considerations.Please check at the Dolphin Booth upon your arrival on the island, for possible schedule changes. Prices may chage at anytime, please call or email for up to the minute pricing. Thanks.